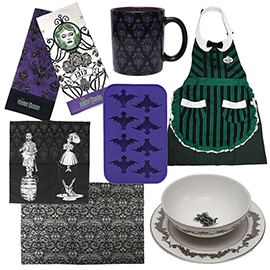 Need some Haunted Mansion themed merchandise? 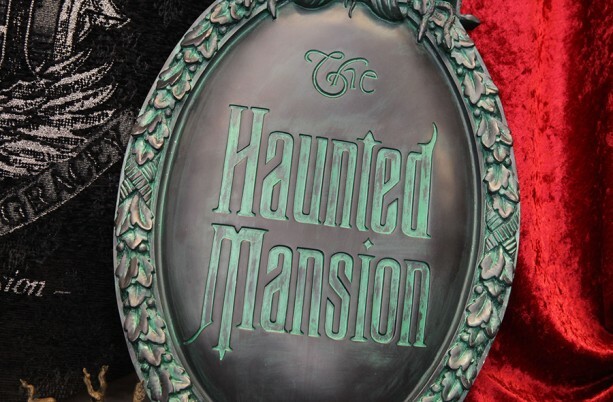 Disney Parks are soon to release brand new themed items this fall. 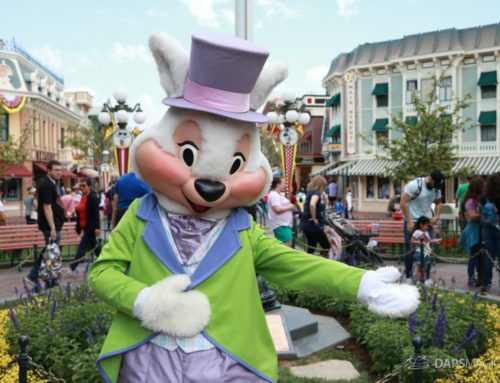 Disney Parks Blog mentioned that there are over 100 new items! Brand new shirts for children, women and men will be available. Coming in a variety of designs, there is one bound to catch your attention. Some shirt designs do glow in the dark. There will also be plenty home items that suit your style. Cloth napkins, dinnerware, bookends and more will be out this fall. Check out the awesome bat shaped ice cube maker. Let’s not forget about the accessories. 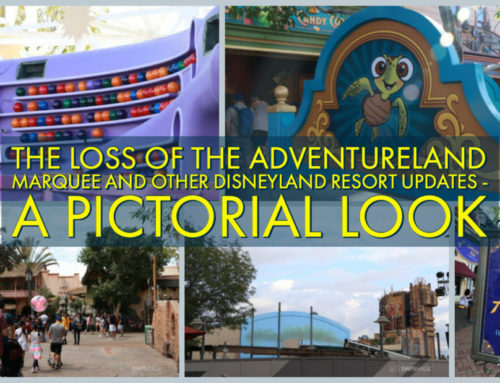 Three new Dooney & Bourke items will be released, showing off the attraction’s memorable wallpaper. 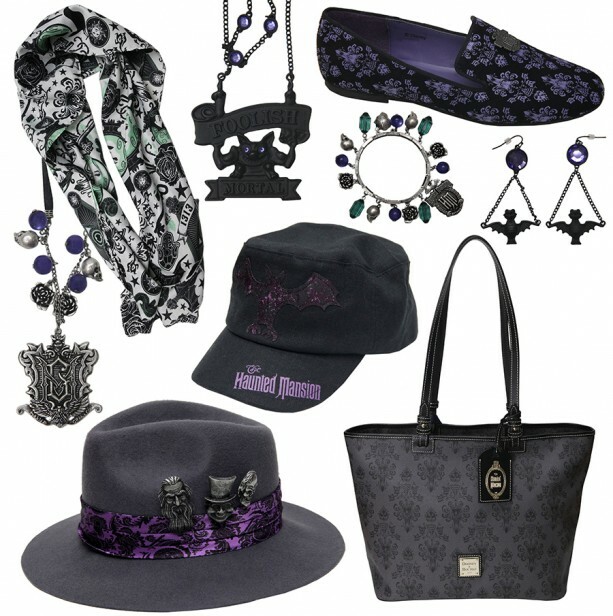 Jewelry, shoes and hats, all inspired from the Haunted Mansion will most definitely express your Disney Side. 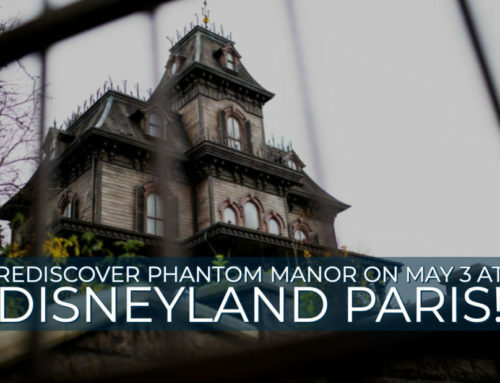 Be sure to keep an eye for these awesome items at the Disneyland Resort and the Walt Disney World Resort. 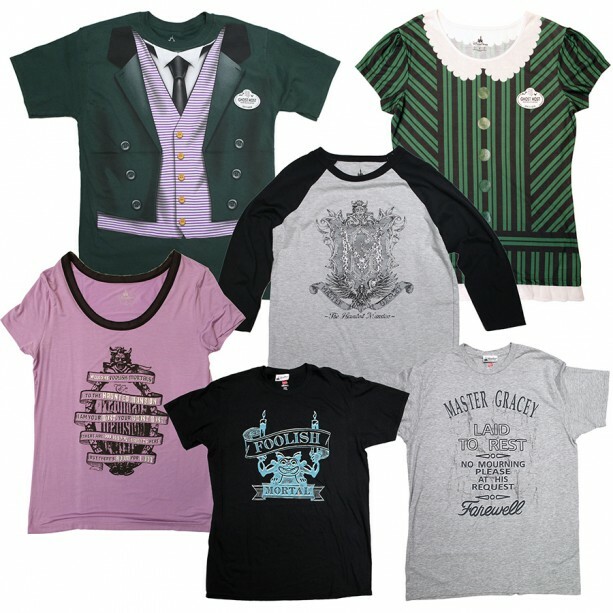 Also, select items will be available on the Disney Parks online store.